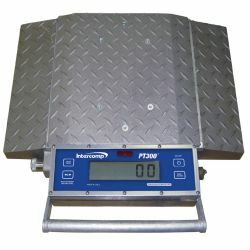 PT300™ scales have been setting the bar for portable, self-contained, compact wheel load scales for decades. Used to maximize legal payloads with concern for violations and reduction of maintenance due to overload stress on equipment, these all aluminum, fully electronic scales are capable of weighing up to 40,000lbs (18,000kgs) with an accuracy of ± 1%. Do I Have to Send My 190 STORM Indicator in to the Factory for an Option Install? As we’ve mentioned in the past, the Cardinal 190 weight indicator is a very popular digital weight indicator. Most customers like it because it is washdown safe and because of the easy to read display that can change colors based on your tolerance settings that you can program into the unit. This makes it a great scale readout for checkweighing. One question that customers sometimes ask relates to optional features and do you need to send the unit in to the factory for installation? As of the time of this write up, there is only one option that needs to be installed at the factory, and that is for the analog output (190-DAC). This is because the DAC option requires a certain software in the 190 to work. Any of the other connectivity options for the 190 (i.e. battery pack, Ethernet, USB, Wifi, RS232) do not require special programming and can be installed in an existing 190 in the field. Please contact us if you are interested in adding one of these Cardinal 190 indicators to your list of weighing equipment.